We will use Payara Micro Maven archetype to generate our project, run the following command. 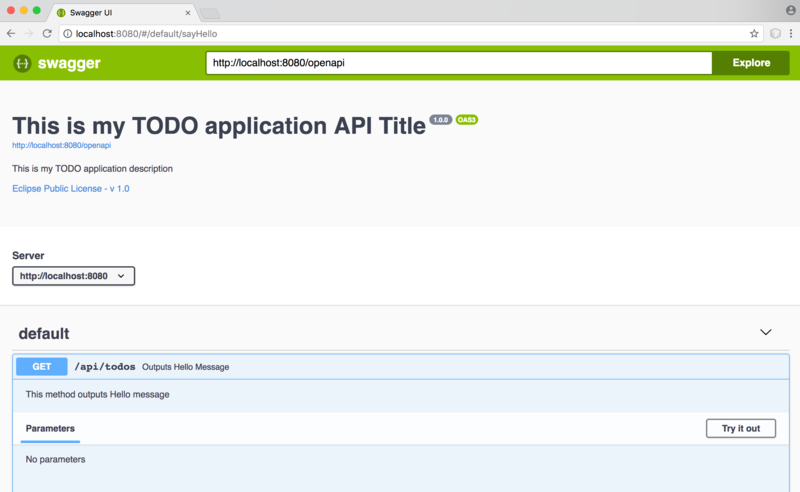 We added MicroProfile OpenAPI dependency and plugin for downloading Swagger UI files for us. This is our configuration for our OpenAPI documentation. Here we are changing how we want our application to be deployed.